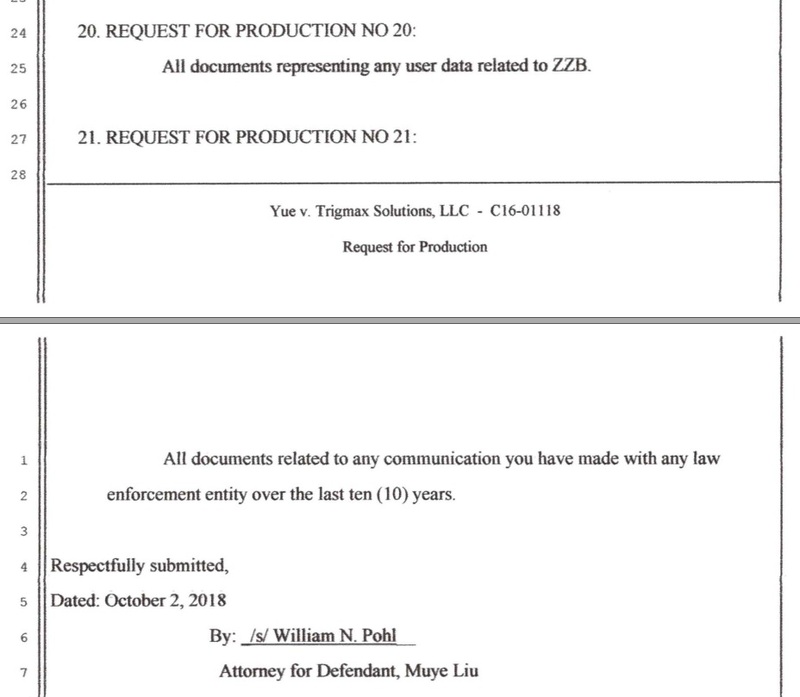 All documents representing any user data related to ZZB . Plaintiff objects to this request on the ground that it is oppressive, overly broad, burdensome and seeking documents not relevant to the claims or defenses of this case. Plaintiff further objects to this request on the ground that it seeks to discover information of unrelated internet users in violation of their privacy. Plaintiff will produce the data of the some of the DOE defendants. The request seems absurd, unreasonable, unlawful and even worse - insane. Wavelet: The request seems absurd, unreasonable, unlawful and even worse - insane. I will keep you and all members of ZZB updated and will take necessary steps to protect ZZB members' privacy rights. 岳东晓: I will keep you and all members of ZZB updated and will take necessary steps to protect ZZB members' privacy rights. GMT+8, 2019-4-20 23:21 , Processed in 0.031737 second(s), 9 queries , Apc On.